Our Mission is simple: to provide you with the finest endodontic treatment available anywhere. Gentle, compassionate care, and the unparalled use of cutting-edge technology in a stress free environment are what patients can expect with Dr. Anjani Gandhi and her dedicated team. A pioneer in Microsurgical Endodontics, Dr. Gandhi has performed Microscope-Assisted Endodontics since 1995 along with all levels of Endodontic Therapy on children and adults, including root canal therapy, retreatment of root canals, apicoectomy, regenerative endodontics, internal bleaching, and treatment of traumatic injuries using the most advanced technologies and techniques. Advanced Innovative technology in our practice includes electronic medical records,digital radiography, ultrasonics, negative pressure irrigation, and documented video imaging through Zeiss microscopes and computerized Cone Beam CT 3-D Imaging. 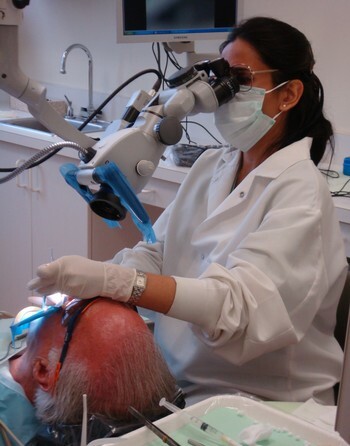 At all times, Dr Gandhi strives for Excellence in Endodontics using a minimally invasive approach with the goal of preserving as much of the natural tooth structure as possible. Understanding that root canals can be an anxiety producing, Dr. Gandhi and her team provide in-office sedation for apprehensive patients. Dr. Gandhi stays at the forefront of cutting-edge technology thru extensive continuing education. A past Asst .clinical professor of Endodontics at Tufts and at Harvard, Dr. Gandhi lectures about new innovations in Endodontics locally and nationally. Dr. Gandhi has been consistently selected by her peers as one of Westchester’s Top Endodontists from 2007 to 2018. 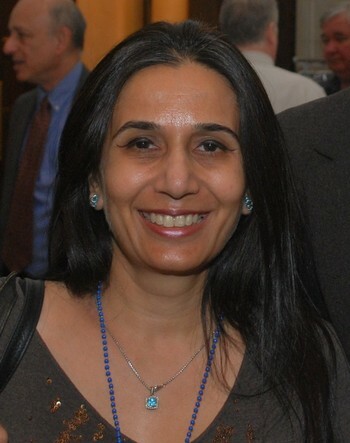 Dr Anjani Gandhi received her DMD and specialty training in Endodontics from Tufts University Dental School of Dental Medicine .Dr Gandhi was Board Certified in Endodontics in 1996, and has been inducted as a Life Member of the American Board of Endodontic Diplomates. In addition Dr Gandhi holds a Masters in Restorative Dentistry.